Can Utilizing Feng Shui Principles Attract Chinese Buyers? I was not at all surprised to learn that more developers and realtors are utilizing feng shui principles to attract Chinese buyers. In a previous blog, I explained how Chinese investors and homebuyers are flocking to Napa Valley and stressed the importance of working with a realtor that really understands Chinese culture. I started working with Chinese developers in Shanghai, Malaysia and Australia 20 years ago. I have spent a lot of time observing how they choose business partners and why they gravitate toward working with me. I have been blessed to not only have them become loyal clients who never stray, but to enjoy long and endearing friendships that stand the test of time. It is therefore a great honor to have been invited by the Asian Real Estate Association of America (AREAA) to speak at the upcoming 2015 National Convention in San Francisco on October 23. As an expert in working with Chinese buyers, I know just how important the centuries-old philosophy of feng shui is to the Asian market. I have even dedicated a couple blogs to the design topic including the latest one about how to feng shui your art. A recent article in Fortune Magazine regarding how developers and realtors are utilizing feng shui principles to attract Chinese buyers, tells me that the real estate world is sitting up and paying attention to this important and increasing pool of buyers. It can all be seen in the numbers. In 2015, China surpassed Canada as the foreign country that spent the most on residential properties in the U.S., comprising 16% of international home buyers. Chinese buyers spent an estimated $28.6 billion on residential U.S. real estate between April 2014 and March 2015, according to the 2015 Profile of International Home Buying Activity. The growing Chinese presence is partly why realtors like me who specialize in selling luxury properties are paying more attention to feng shui. A survey of 500 Chinese Americans found that 86% think feng shui will make a difference in their future home buying choices. Additionally, 79% of these Chinese-American home buyers said they would pay more for a house that followed follow feng shui standards. In a nutshell, feng shui is a centuries-old philosophy, originating in China, that was used in homes and urban planning to create a calm, harmonious environment and improve the flow of “qi” or positive energy, for its occupants. “qi” is achieved by the placement of furniture, mirrors and other decorative items. The location of homes at the end of a cul-de-sac, the front door opening to a staircase, front and back doors aligned and the foot of a bed facing a door (the death position) are deal breakers for Chinese buyers. 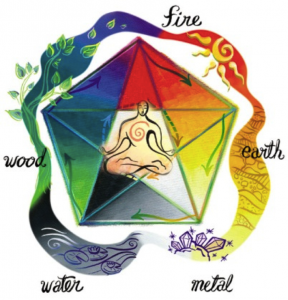 In feng shui-styled environments, the Five Elements of wood, fire, earth, metal, and water, are used in combination to align a building, site, or city to a healthy balance. If you are looking for that perfect property where you can begin utilizing feug shui principles, all you need to do is contact me at 707-738-4820 or email me [email protected]. As a top producing Realtor® in Napa Valley, I have access to some extraordinary wineries, vineyards, estates and homes in Napa, Yountville, Saint Helena and Calistoga that are not on the open market. The inventory is extraordinary with amazing feug shui potential!